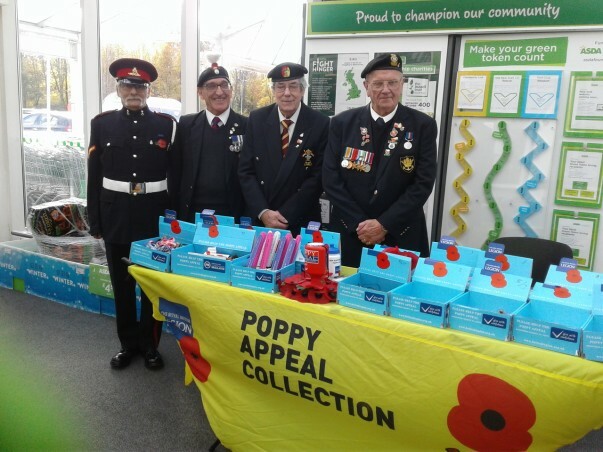 A big thank you to everyone who's supported the fantastic Royal British Legion collectors who've been raising money for the Poppy Appeal in our stores in the run-up to Remembrance Sunday. 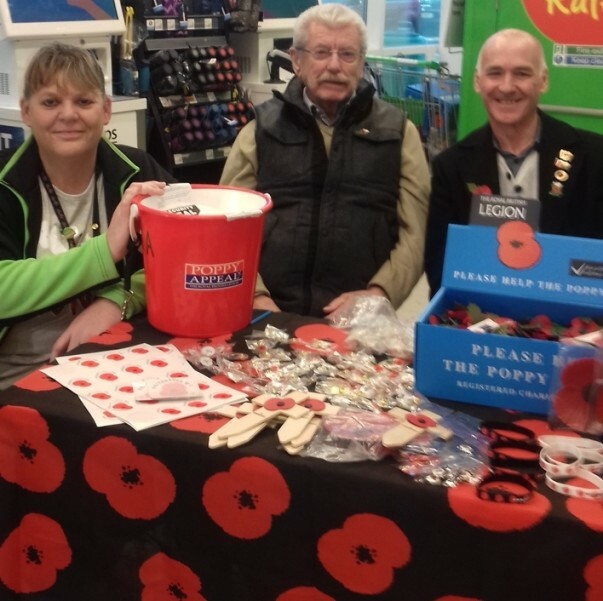 Emma and John Kavanagh, pictured above with our Gosforth store's community champion Michelle Castledine, are two of the collectors who've become familiar friendly faces at our stores across the country. 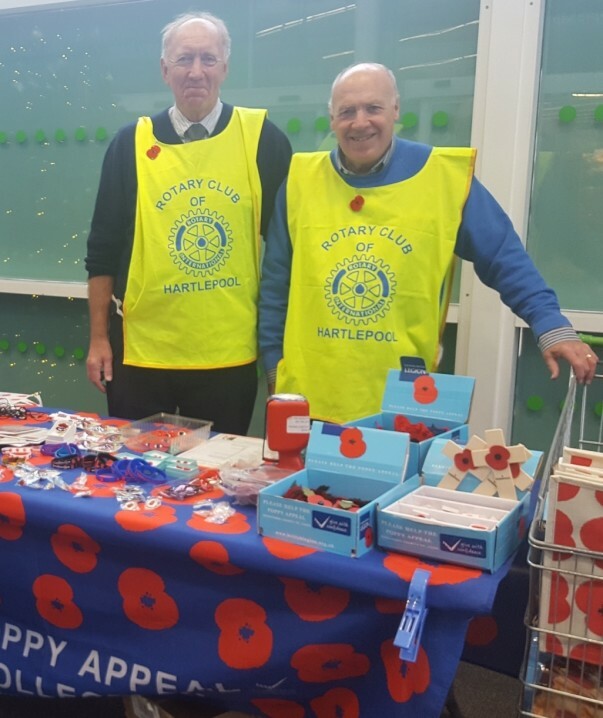 Michelle said: "It's been lovely to see our favourite poppy collectors in store, they've been coming in for more than 10 years. 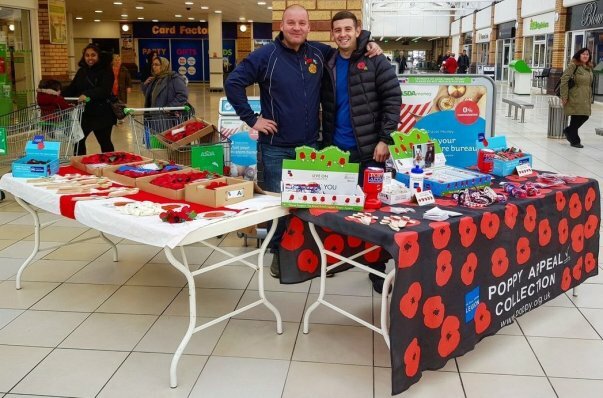 "Our customers know them, and we consider them friends." 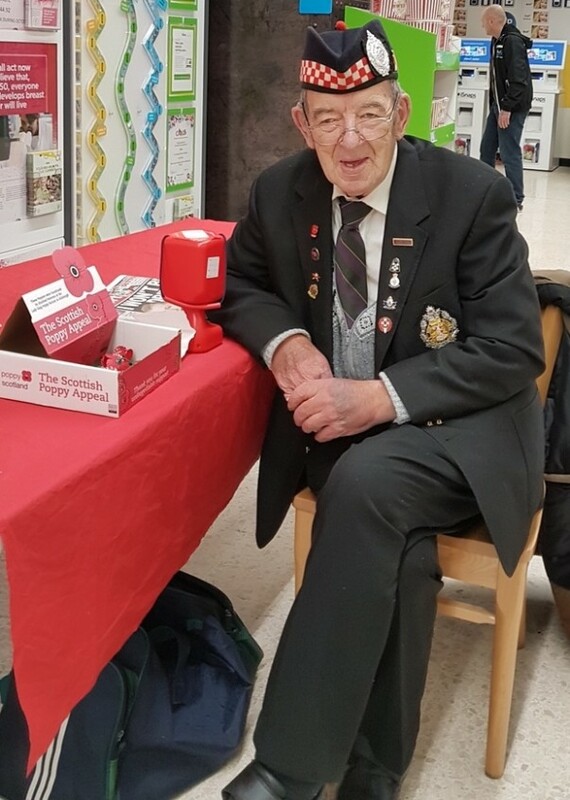 David Buchan, who's 84, has been raising money for Poppyscotland in our Falkirk store. 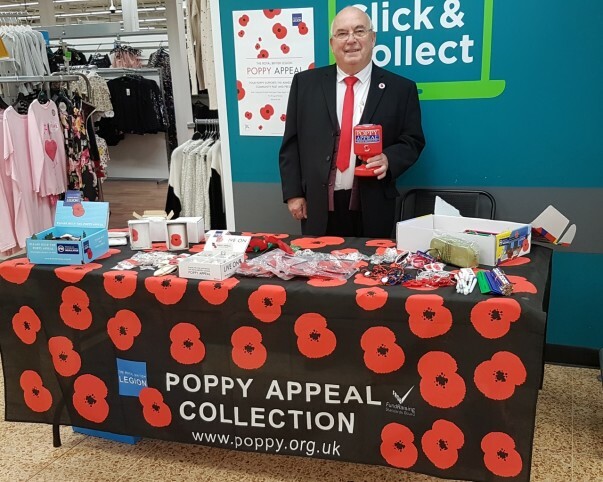 The store's community champion Margaret Bradie said: "David has been in our store for the past seven years every day of the Poppy Appeal, selling poppies and badges, and has been involved in Poppy Scotland for over 18 years." 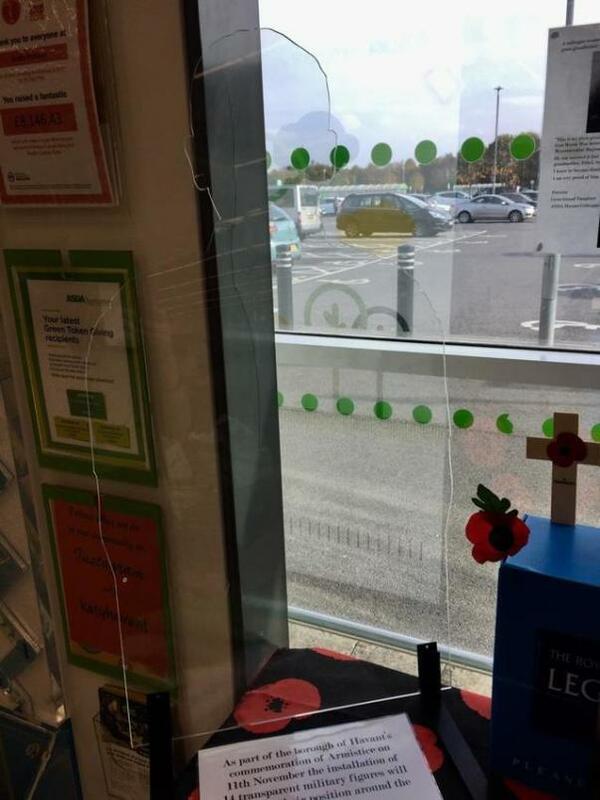 Our Havant store is housing one of 14 transparent sculptures depicting military personnel that have been taking their position around the borough. 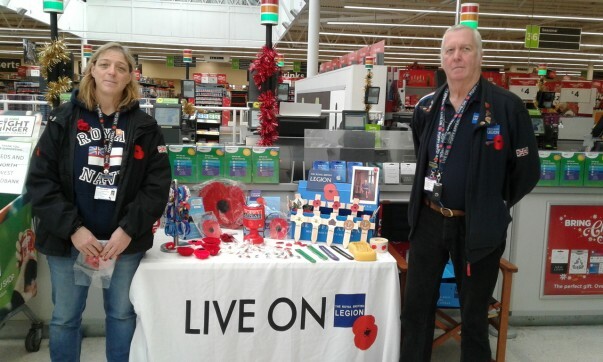 The store's community champion Katy Trapani said: "We are proud to have a silhouette in store. The silhouette depicts the shadow of soldiers left absent in the wake of the war." 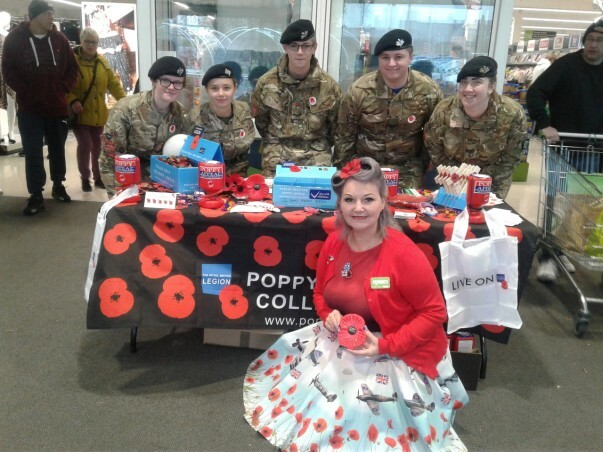 In Sutton in Ashfield our checkout colleague Tereasa wore a striking poppy dress as she supported local cadets who called in to raise money for the Royal British Legion. 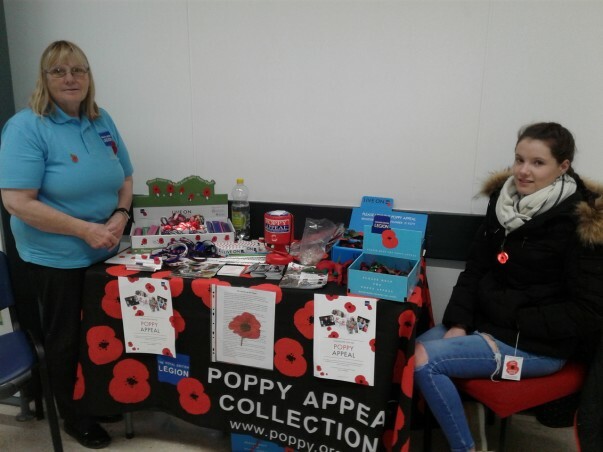 The store's community champion Hayley Carrington said: "Tereasa always dresses up for all community occasions in store." 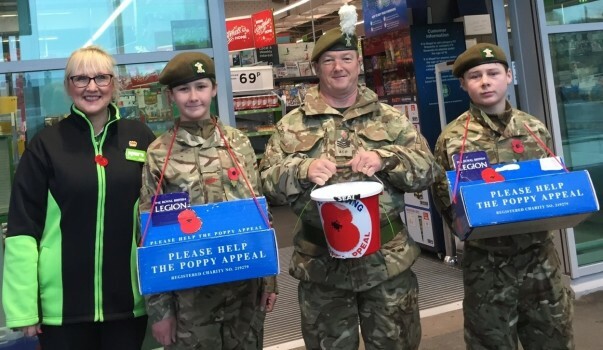 Our Bolton store's community champion Christine Baldwin volunteered with year five pupils from St Matthews Primary School to transform recycled plastic bottles into poppies which the school have attached to a cross. 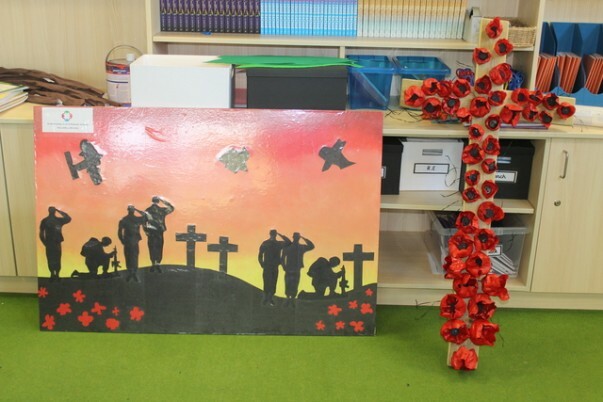 Pupils at the school also created an art board commemorating the 100th anniversary of the end of the First World War. 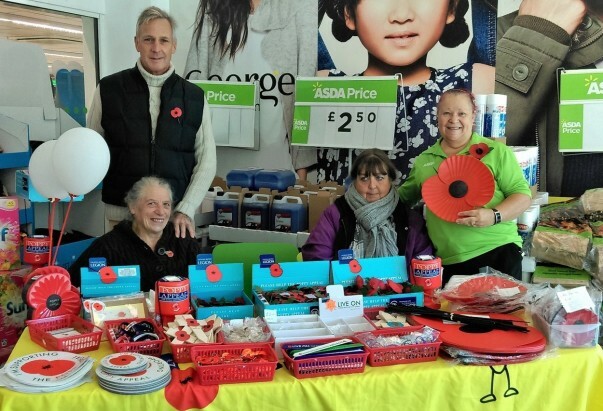 Christine said: "The Asda Foundation donated a local impact grant to the Friends of Astley Bridge for community groups and schools to take part in commemorative art work. 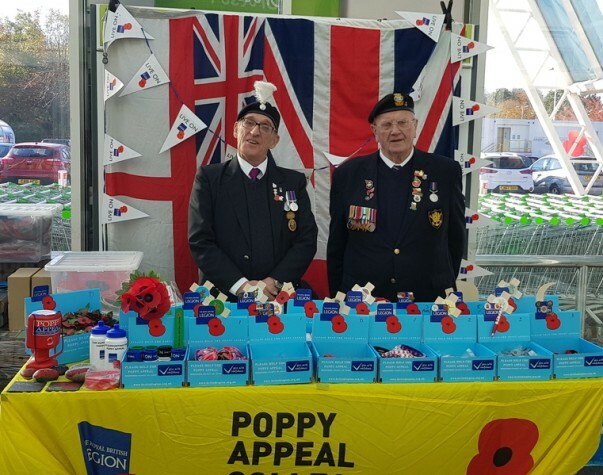 "Large installations and groups of wooden soldiers displaying the names of 150 soldiers lost in WW1 will be displayed at various sites in Astley Bridge." 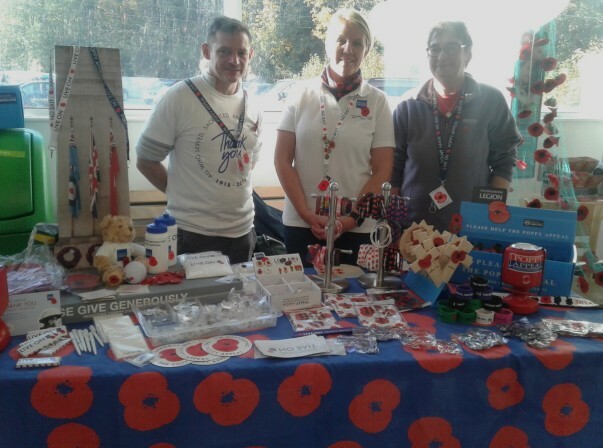 Julie McKell from our St Leonards store in Dunfermline has been commemorating Remembrance Day at a nearby day centre. 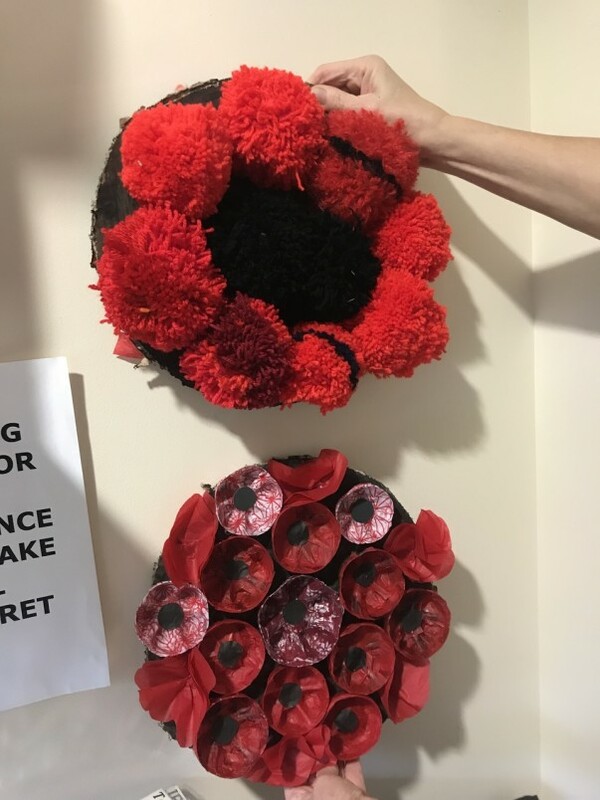 She said: "We've been busy making poppies for the remembrance wall. 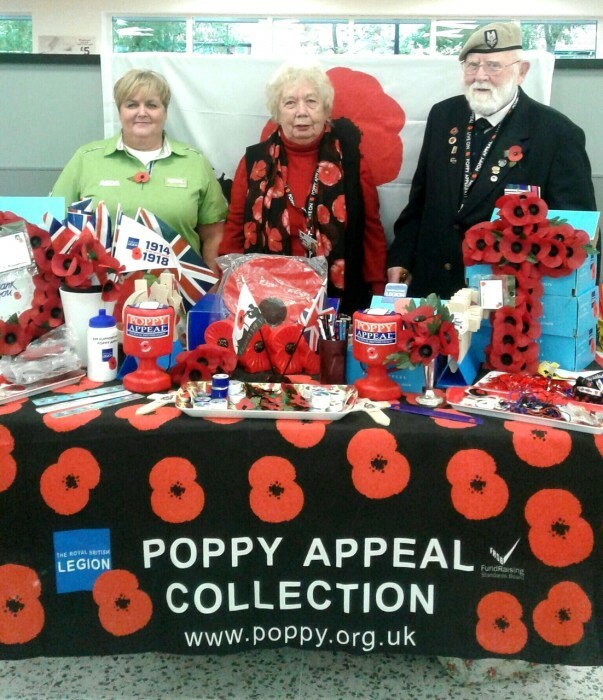 There's a range of designs, from a single poppy to a wreath, and they look great." 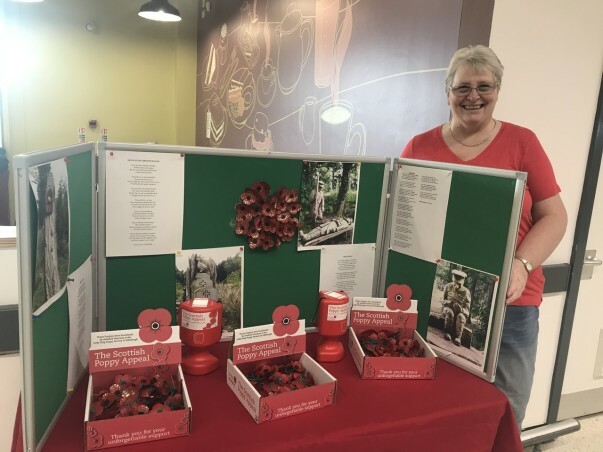 Poems written by our brilliant colleague Sue Turner are on display at our Ayr store. 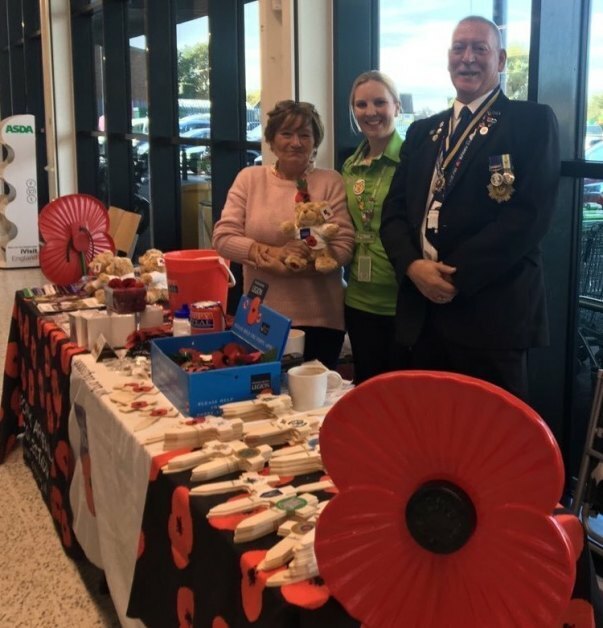 The store's community champion Karen Fulton said: "All the poems are about different aspects of the war, inspired by carved statues from our local park. 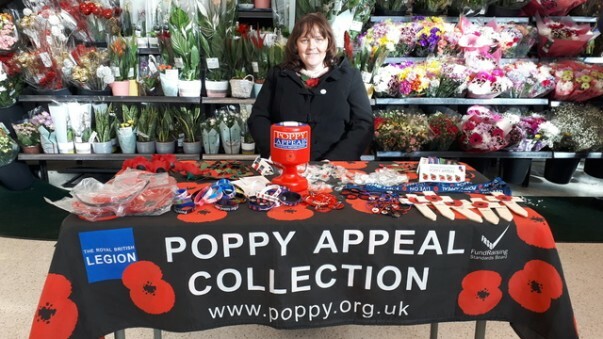 Well done Sue!"